I have been researching in order to justify the structure of our homeschooling days. 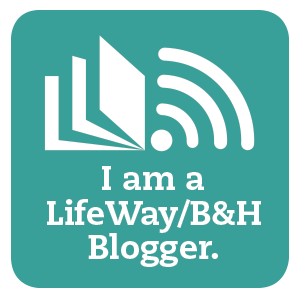 It seems like the more I look for articles and blogs that will tell me, "do this, do it now, do it then, do it how..." the more I find that there is no cookie-cutter 'guide' for how to conduct a homeschooling day. Everyone is different. On one website I found an article that indicated you must have a set schedule every day, no sleeping in for kids, do your school work only during set times... and so on. A grim feeling began to creep over me. We try for a "schedule" and we do loosely have one. However, our day’s structure was nothing of the manor this woman insisted upon. As my face turned green and my head spun with the thought that I was failing, I looked on. Contrasting that article, on the same website, was another mom who sounded much more like us. The kids sleep in some... not too long... but they are allowed the luxury of a little extra sleep. She talked about a slower approach to the day, taking long breaks, and approaching their 'schedule' in a more laid-back manor. I like that idea! 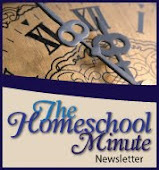 When we first started homeschooling, we were doing school at home. We started promptly at 8:45. We had set subjects at set times. We took breaks at set times. We ended our day promptly at 3:00. We also burned out of that schedule within three months. I wonder if my hang-up with a schedule is from growing up in public school or if it is from my children's public school days and my extensive involvement in them. Since deciding to homeschool, I have spent a lot of time trying to justify what we do. I keep thinking I need to have something to show for it all. I have something to prove… but what? I am slowly coming to realize that the most important thing is just being together. Learning together and being spontaneous are priceless parts of our homeschooling day. We can be sharing a book about a dog that travels to New York and suddenly stop to review a map of New York, run some math numbers on how far it is, and how long it would take to drive there. To not cease moments like that is to deprive myself and my children of one of the best parts of the homeschooling experience. We have a schedule. We wake up, we work together to take care of our house. We read every morning, for most of the morning. We break for two hours over lunch time so the kids can eat and have 'recess' and I can take a break. We reconvene in the afternoon for math, which lately coincides with science. Some evenings we are still reading or doing experiments as I am cooking dinner. Some nights we are exploring history as we share a bedtime story. Most days we play board games. Every day we laugh, we explore... we have fun. So why do I keep looking for something else? It has been said time and time again and I can't help but agree: learning isn't just in a classroom. It isn't here or there. It isn't at a set time or on a set day. Learning, when we cease the opportunity, happens all around us, all the time. What better lesson can we give our children in homeschool than to realize that all of life is about learning and this entire world is their classroom.